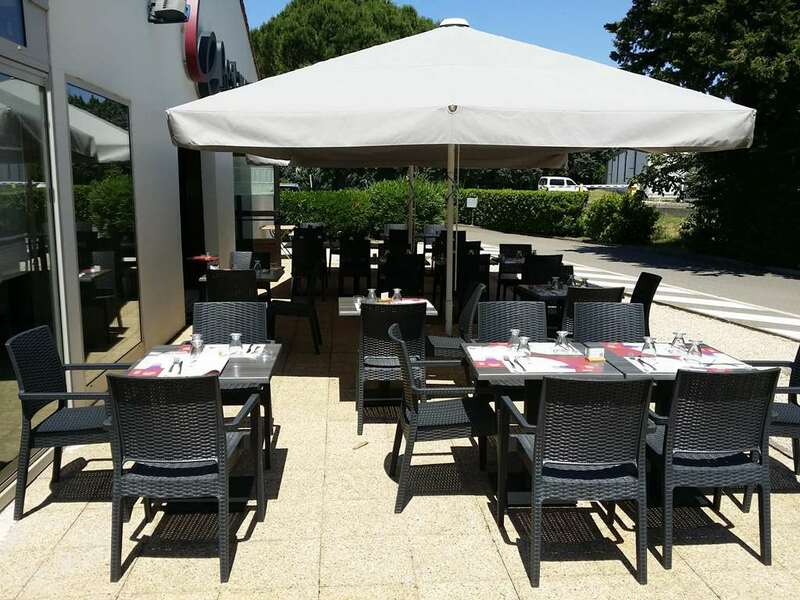 Located at just 1km away from Orange’s city centre, the Campanile Orange is the ideal place from which to explore the delights of the south of France. 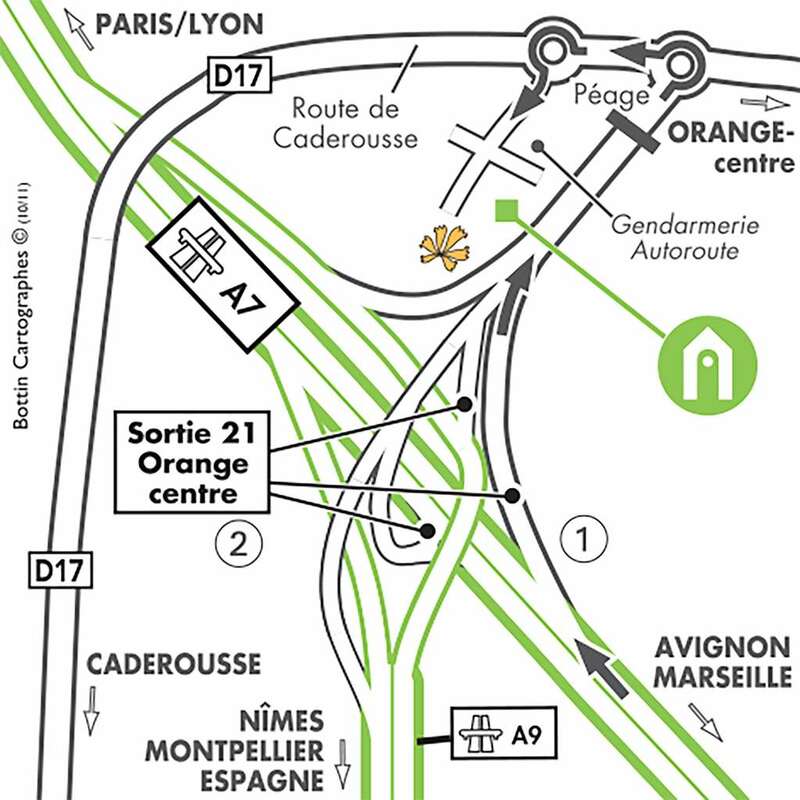 Guests arriving by train into Orange’s main train station have to make just a 2km onward journey to the hotel, whereas guests arriving by car are even closer to the Orange junction of the A7 highway, which is just 300m away. 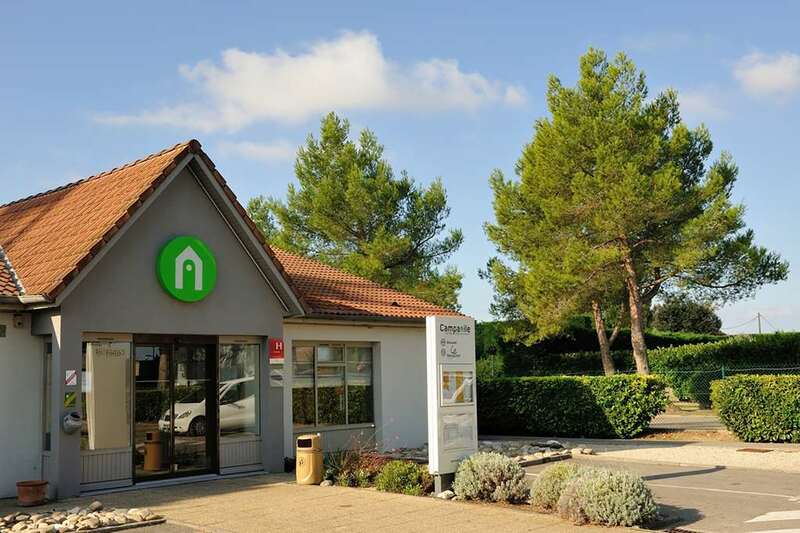 Alternatively, should you wish to arrive by air, then Avignon airport is just 30km away. 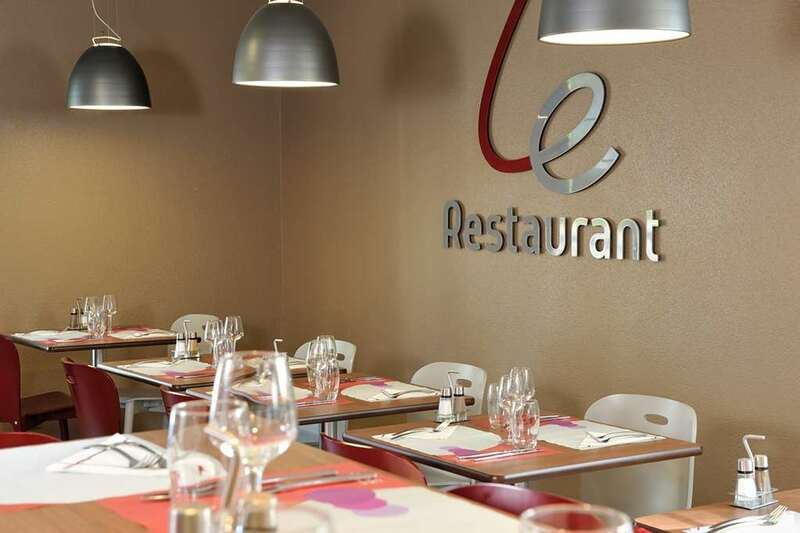 Or if you fancy heading to a bigger city, then Montpellier lies just 106km to the southwest. Sports enthusiasts will find many of their thirsts quenched by the nearby facilities; there is a golf course just 4km away, and tennis courts are even closer, at just 2km away. Those looking for horse riding facilities have to travel just 2km too, and a swimming pool is just a short 200m walk away from the hotel. If you fancy staying out late, then why not head to the disco, which is 4km away, or shopaholics will find everything they need at the commercial shopping centre, a mere 500m walk away. The Campanile Orange has 43 air-conditioned rooms, 33 of which are smoking and 10 of which non-smoking. There are 21 doubles, 13 twins, 5 triples with 1 double and 1 single and 5 triples with 3 singles. 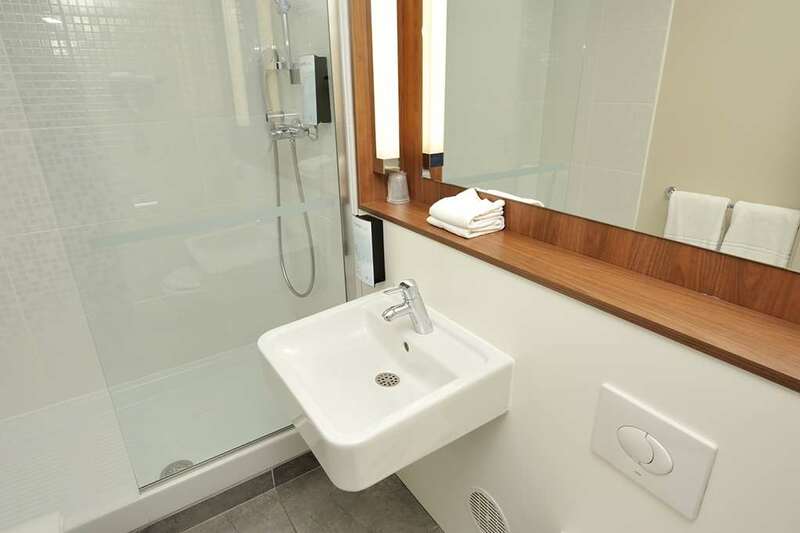 There are also 4 connecting rooms and 4 disabled-accessible rooms too. 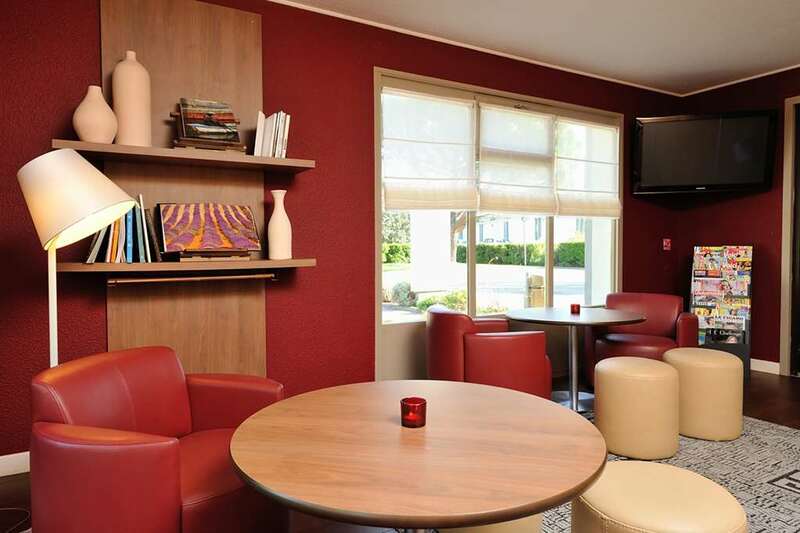 All of the rooms come with TV, a desk, a direct line, an alarm clock, a hairdryer and a modem line, and there is a communal hotel terrace and a 3000m2 garden where guests can relax. Pets can stay with their owners free of charge, and there is a hotel library and a newspaper kiosk too. 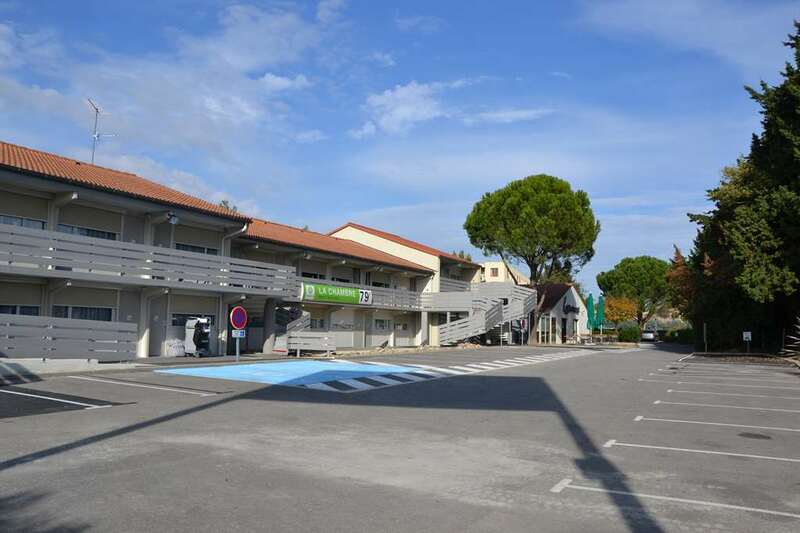 As well as a minitel in the hall and disabled facilities, there is also a 50-person capacity restaurant and a playground for families with children. Guests arriving late can use the 24-hour check in service and there is also a free hotel car park. 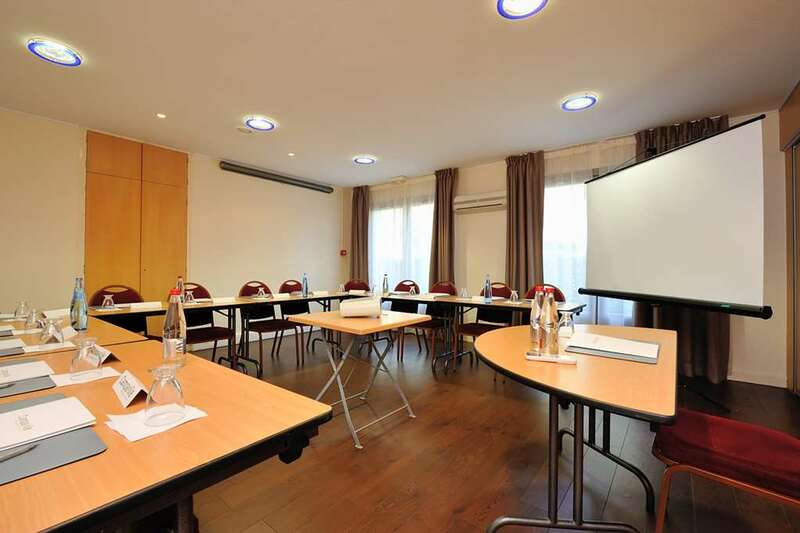 The front desk staff, who speak English and Spanish, are sure to be as helpful as possible during your stay; so book your dream getaway to the south of France today, and make it special when you stay at the Campanile Orange. 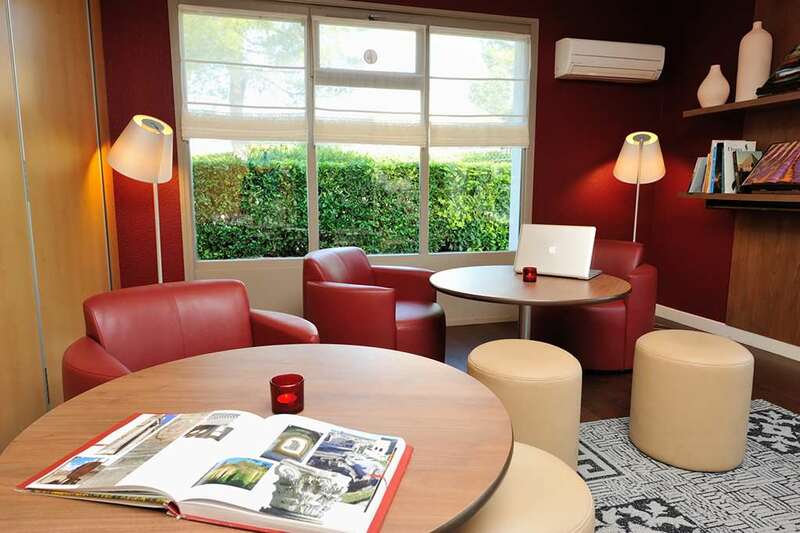 Are you looking for a hotel at an affordable price in Orange? 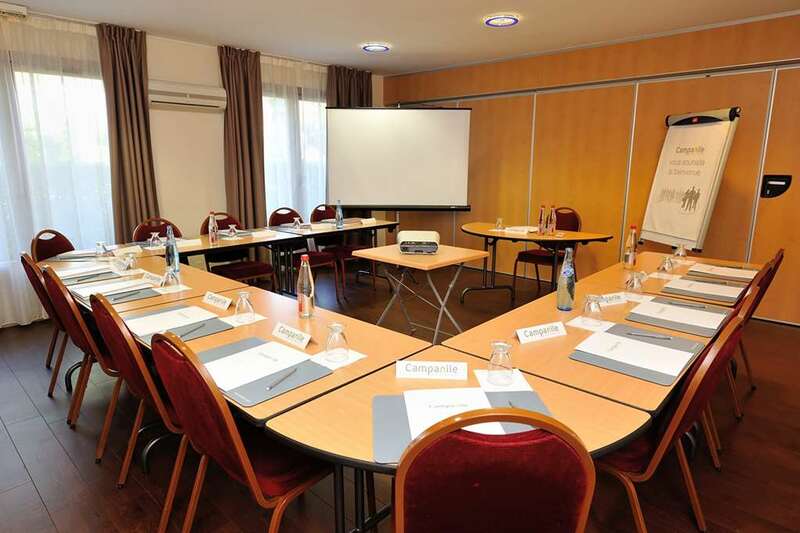 Find all the special deals on the Campanile ORANGE Hotel website! 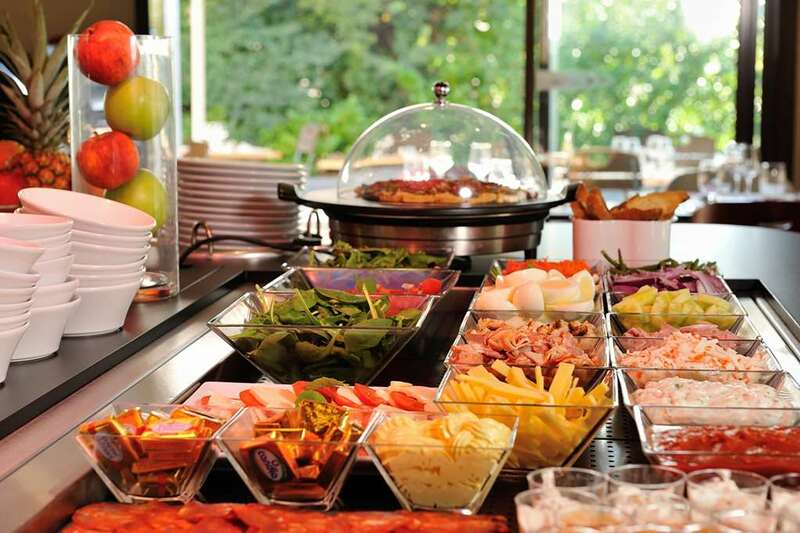 Find other Campanile Hotels in Orange.